In short, IF processes run as root inside a container they could potentially break out of the container and gain access over the host. My recommendation at this time is to apply the same basic security tenants for containers as you would (I hope) for VM and baremetal installs. In other words, ensure you are adhering to a Path of Least Privilege as a best practice and not running as root for conevience’s sake. Prior to this, we made changes to PMM prior to version 1.0.4 to reduce the number of processes within the container that ran as root. As such, only the processes required to do so run as root. All other processes run as a lower privilege user. 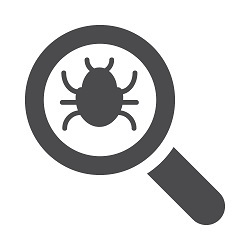 Check here for documentation on PMM, and use the JIRA project to raise bugs (JIRA requires registration). Please comment below with any questions. In this blog post, I’ll discuss MySQL sharding models, and how they apply to SaaS application environments. MySQL is one of the most popular database technologies used to build many modern SaaS applications, ranging from simple productivity tools to business-critical applications for the financial and healthcare industries. Pretty much any large scale SaaS application powered by MySQL uses sharding to scale. In this blog post, we will discuss sharding choices as they apply to these kinds of applications. In MySQL, unlike in some more modern technologies such as MongoDB, there is no standard sharding implementation that the vast majority of applications use. In fact, if anything “no standard” is the standard. The common practice is to roll your own sharding framework, as famous MySQL deployments such as Facebook and Twitter have done. MySQL Cluster – the MySQL software that has built-in Automatic Sharding functionality – is rarely deployed (for a variety of reasons). MySQL Fabric, which has been the official sharding framework, has no traction either. Beneath all these “front end” choices for sharding on the application database connection framework or database proxy, there are some lower level decisions that you’ve got to make. Namely, around how your data is going to be led out and organized on the MySQL nodes. 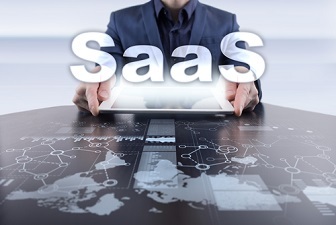 When it comes to SaaS applications, at least one answer is simple. It typically makes sense to shard your data by “customer” or “organization” using some sort of mapping tables. In the vast majority of cases, single node (or replicated cluster) should be powerful enough to handle all the data and load coming from each customer. What Should I Ask Myself Now? How much revenue per customer are you generating? Do your customers (or regulations) require data segregation? Are all the customers about the same, or are there outliers? Are all your customers running the same database schema? I address the answers in the sections below. How much revenue per customer you’re generating is an important number. It defines how much infrastructure costs per customer you can afford. In the case of “freemium” models, and customers generating less than $1 a month an average, you might need to ensure low overhead per customer (even if you have to compromise on customer isolation). Typically with low revenue customers, you have to co-locate the data inside the same MySQL instance (potentially even same tables). In the case of high revenue customers, isolation in separate MySQL instances (or even containers or virtualized OS instances) might be possible. Isolation is another important area of consideration. Some enterprise customers might require that their data is physically separate from others. There could also be government regulations in play that require customer data to be stored in a specific physical location. If this is the case, you’re looking at completely dedicated customer environments. Or at the very least, separate database instances (which come with additional costs). Customer size and requirements are also important. A system designed to handle all customers of approximately the same scale (for example, personal accounting) is going to be different than if you are in the business of blog hosting. Some blogs might be 10,000 times more popular than the average. Finally, there is a there is the big question of whether all your customers are running the same database schema and same software version. If you want to support different software versions (if your customers require a negotiated maintenance window for software upgrades, for example) or different database schemas (if the schema is dependent on the custom functionality and modules customers might use, for example), keeping such customers in different MySQL schemas make sense. Customers Share Schemas. This is the best choice when you have very large numbers of low-revenue customers. In this case, you would map multiple customers to the same set of tables, and include something like a customer_id field in them to filter customer data. This approach minimizes customer overhead and reduces customer isolation. It’s harder to backup/restore data for individual customers, and it is easier to introduce coding mistakes that can access other customers data. This method does not mean there is only one schema, but that there is a one-to-many relationship between schemas and customers. For example, you might have 100 schema’s per MySQL instance, each handling 1000 to 10000 customers (depending on the application). Note that with a well-designed sharding implementation, you should be able to map customers individually to schemas. This allows you to have key customer data stored in dedicated schemas, or even on dedicated nodes. Schema per Customer. This is probably the most common sharding approach in MySQL powered SaaS applications. Especially ones that have substantial revenue ($10+ per month / per customer). In this model, each customer’s data is stored in its own schema (database). This makes it very easy to backup/restore individual customers. It allows customers to have different schemas (i.e., add custom tables). It also allows them to run different versions of the application if desired. This approach allows the application server to use different MySQL users connecting on behalf of different customers, which adds an extra level of protection from accidental (or intentional) access of data that belongs to different customers. The schema per customer approach also makes it easier to move the shards around, and limits maintenance impact. The downside of this approach is higher overhead. It also results in a large number of tables per instance, and potentially larger numbers of files (which can be hard to manage). Database Instance per Customer. You achieve even better isolation by having a MySQL instance per customer. This approach, however, increases overhead even further. The recent rise of light virtualization technologies and containers has reduced its usage. OS Instance/Container per Customer. This approach allows you to improve isolation even further. It can be used for any customer, but can also be applied to selected customers in a model that uses Schema per Customer model for a majority of them. Dedicated OS Instance, with improved isolation and better performance SLAs, might be a feature of some premium customer tiers. This method not only allows better isolation, but it also let’s you handle outliers better. You might chose to run a majority of your customers on the hardware (or cloud instance) that has best price/performance numbers, and also place some of the larger customers on the highest performance nodes. Environment per customer. Finally, if you take this all the way you can build completely separate environments for customers. This includes databases, application servers and other required components. This is especially useful if you need to deploy the application close to the customer – which includes the appliance model, or deployment in the customer’s data center or cloud provider. This also allows you to accommodate customers if their data must be stored in a specific location. This is often due to government regulations. It is worth noting that many SaaS applications, even if they do not quite have one environment per customer, have multiple independent environments. These are often hosted in different locations or availability zones. Such setups allow you to reduce the impact of large-scale failures to only a portion of your customers. This avoids overloading your customer service group and allowing the operational organization to focus on repairing smaller environments. The farther you go down this route – from the shared schema to an environment per customer – the more important is to have a high level of automation. With a shared schema, you often can get by with little automation (and some environments manually set up) and all the schema’s pre-created. If customer sign up requires setting up dedicated database instance or the whole environment, manual implementation doesn’t scale. For this type of setup, you need state-of-the-art automation and orchestration. I hope this helps you to understand your options for MySQL sharding models. Each of the different sharding models for SaaS applications powered by MySQL have benefits and drawbacks. As you can see, many of these approaches require you to work with a large number of tables in the MySQL – this will be the topic of one of my next posts! Dropbox said today that it is rolling out Paper — its note-taking app that it’s emphasizing is a tool that’s built for managing workflow as well — globally.